← Is Your Family Cookbook a Hellacious Dump? 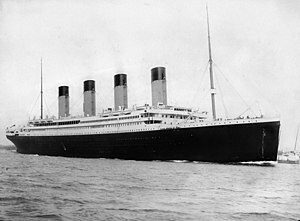 Today marks the 100th anniversary since the RMS Titanic set sail from Southampton, England. Most of us are familiar with the story of the ill-fated ocean liner. For generations the idea of a massive ship sinking in a matter of hours has fascinated us; especially since the discovery of the wreck in 1985. Unfortunately, the 1517 (the number is always debated) deaths are often looked at as more of a statistic than anything, and little is known about many of these people. Three years ago, out of an unwavering pity for these people, I undertook the task of documenting every passenger on the Titanic and writing a short biography about them. After compiling hundreds of manila folders full of information, I realized that I had taken on an almost impossible task. 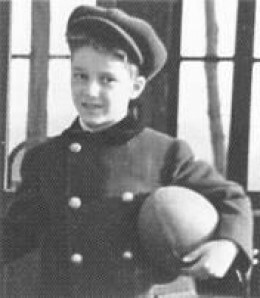 Douglas was a seven year old American boy when he boarded the RMS Titanic in Cherbourg, France as a first class passenger. He is best known for the picture of him on the deck spinning a top (from Father Francis Browne’s collection). Before leaving from America, his aunt had given him a white polar Steiff bear from FAO Schwartz. Douglas named the bear “Polar”. The bear traveled with him on his European vacation and boarded the Titanic with him. As a Christmas gift in 1913, Douglas’s mother presented him with a book that she had written. Entitled Polar the Titanic Bear, the story is narrated by Polar and tells the story of the Titanic from his perspective. On August 5, 1915, Douglas was killed (at age 10) after his chased a football out into the street (thus becoming Maine’s first road causality). 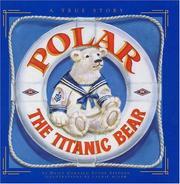 In 1994, Polar the Titanic Bear was published and has since sold more than 250,000 copies.